From 1901 until 2003, there have been 16 intentional trips in barrels or other contraptions over the Canadian Horseshoe Falls by 16 different people (2 people went over twice). Five of these people lost their lives. In looking at the list I see that the majority of these trips (six of them) had occurred in the month of July. Here’s a rundown of these trips. Karl Soucek, July 3,1984 in a steel barrel. He survived. Jean Lussier, July 4, 1928 in a rubber ball. He survived. Attached is a photo of him being greeted by his supporters after going over the falls and another one of him sitting beside his ball. 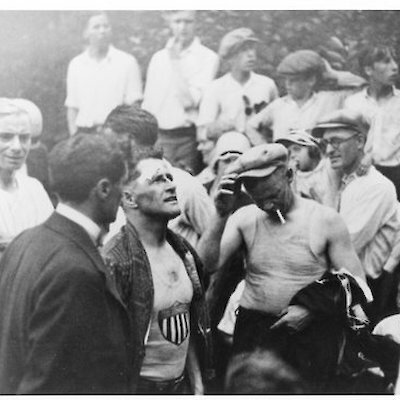 George Stathakis, July 4, 1930 in a wood and steel barrel. He lost his life. 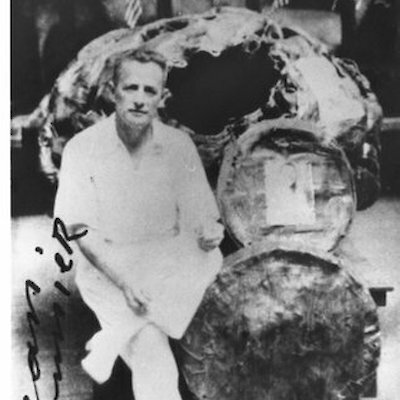 Charles Stephens, July 11,1920 in an Oak barrel. He died. 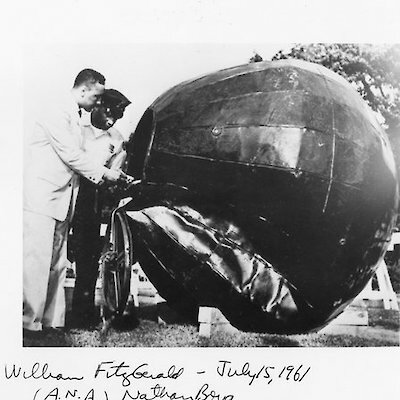 William Fitzgerald, July 15, 1961 in a rubber ball. He survived. Photo shows him examining his rubber ball a few days after going over the falls. Bobby Leach, July 25, 1911 in a steel barrel. He survived. It is today illegal and foolhardy to go over the falls intentionally as a daredevil stunt.